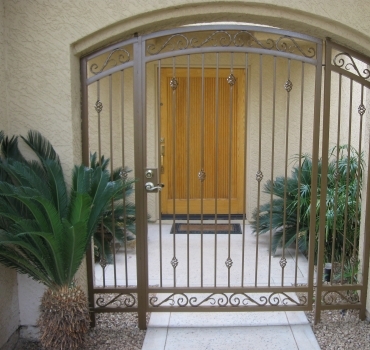 RV Gates are also called double or side yard gates. 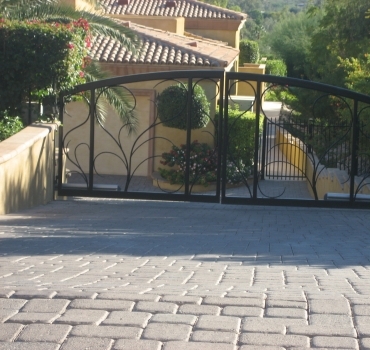 Each gate is custom built to fit your opening. 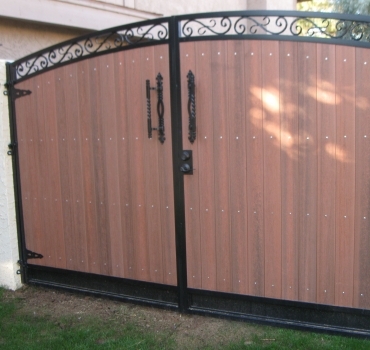 Our gates are available in maintenance free composite wood, cedar wood or metal backing. 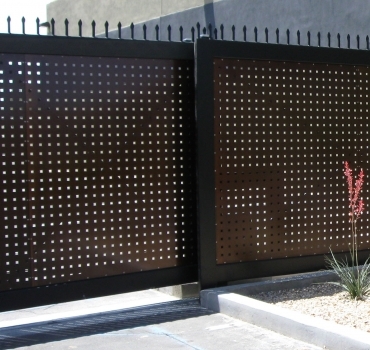 All with a professional powder coated finish for long-lasting durability. Click on photo to view gallery. 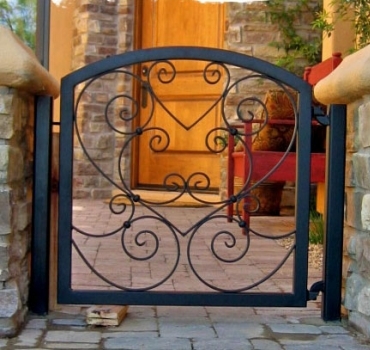 Our custom built Entry Gates are built with heavy duty iron powder coated frames. Touch or keyed locks available. Click to view gallery. 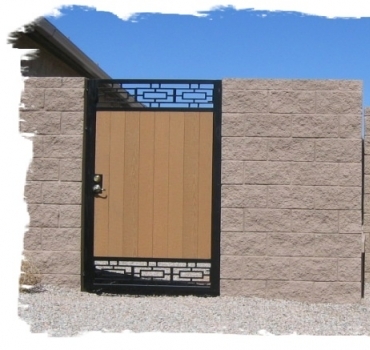 We have installed thousands of decorative courtyard gates from basic to custom valley wide. Click to view Gallery. 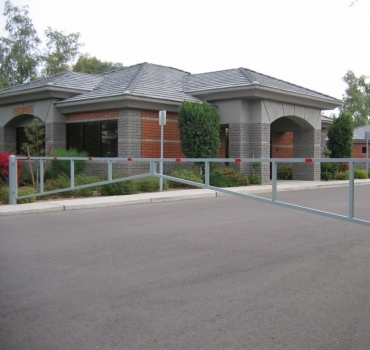 At Action Gates one of our specialties is the Sliding or rolling Gates. Having installed hundreds over the last several years this is where our experience really counts. Built with heavy duty iron frames and available your choice of wood, maintenance free composite or metal backing. Please click to view our Gallery. 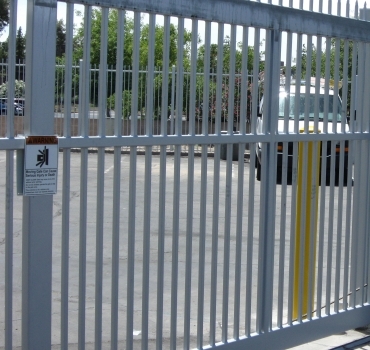 View our gallery of Heavy Duty Commercial Dumpster Gates or also called trash enclosure gates. 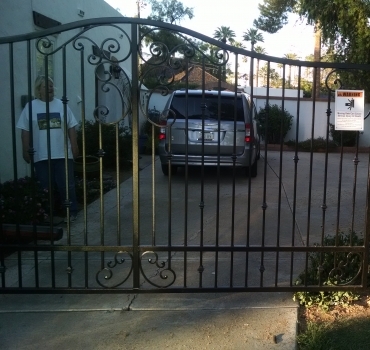 Action gates has installed for church's, gated communities, hotels and apartments. Click the dumpster gate photo to view our gallery. 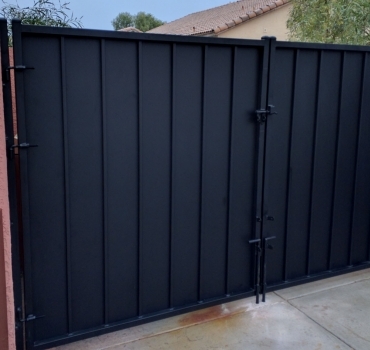 The above Photo is of our Commercial Rolling or sliding gate this rolling gate in the above image image was installed at main office for direct TV in Tempe. 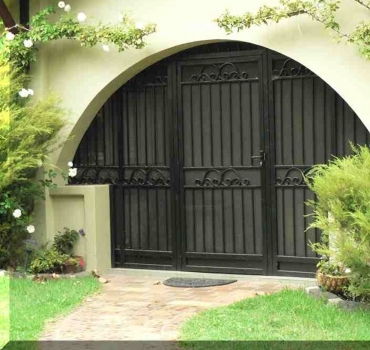 To view more of our gates please click photo to view Gallery. Commercial Gate Automation, Direct TV Tempe Az. 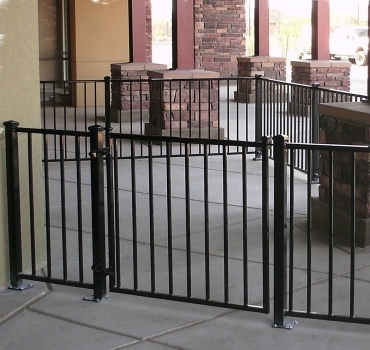 We manufacture custom commercial fence from Industrial complexes to restaurant patios. Click on the photo to view our photo gallery. 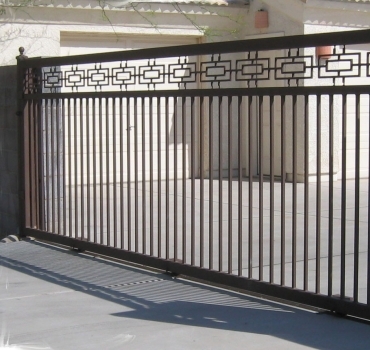 Built to last since 2003, Action Gates & Fence is recognized throughout Phoenix, Scottsdale for our high level of craftsmanship, affordable gates and Automation. Evidenced by our Read More.